iPhone X Side Button Not Working? Here's The Real Fix! You are at:Home»iPhone»Buttons»iPhone X Side Button Not Working? Here’s The Real Fix! The side button on your iPhone X is not working and you don’t know what to do. The side button is perhaps the most important button on your iPhone X, especially since there’s no Home button. In this article, I’ll show you a short-term solution when your iPhone X side button is not working and explain how you can get your iPhone’s side button repaired! When your iPhone X side button is not working, you can get much of the button’s functionality by turning on AssistiveTouch in the Settings app. The AssistiveTouch button allows you to do things like activate Siri, use Emergency SOS, take screenshots, and lock or turn off your iPhone. 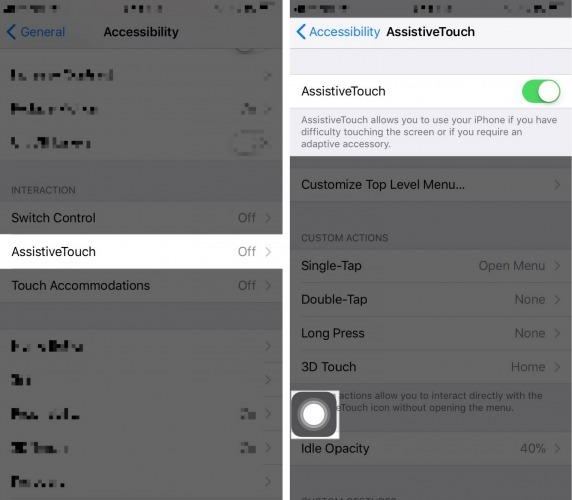 To turn on AssistiveTouch on your iPhone X, open the Settings app and tap General -> Accessibility -> AssistiveTouch. Then, turn on the switch next to AssistiveTouch. You’ll know AssistiveTouch is on when the switch is green and a small, circular button appears on the display of your iPhone X. Once the AssistiveTouch button appears, you can use your finger to drag it wherever you’d like on your iPhone’s display. Below, I’ll show you how you can use AssistiveTouch to do many of the things you would normally do with the iPhone X side button. To lock your iPhone X using AssistiveTouch, tap the AssistiveTouch button, then tap Device. Finally, tap the Lock Screen button in the AssistiveTouch menu. First, tap the virtual AssistiveTouch button. 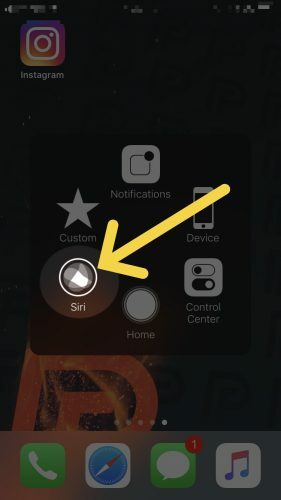 Next, activate Siri by tapping the the Siri icon when the AssistiveTouch menu appears. First, tap the virtual AssistiveTouch button, then tap Device. Next, tap More -> SOS. When you tap SOS, it will activate Emergency SOS on your iPhone. 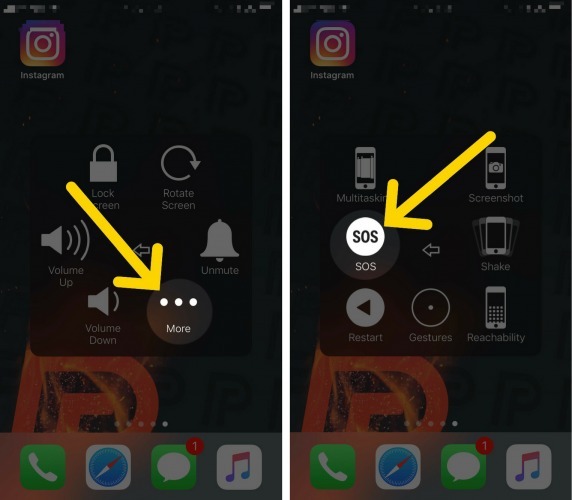 Keep in this mind: if you have auto-call turned on, emergency services will be called immediately after you tap the SOS button in AssistiveTouch. You may want to go to Settings -> Emergency SOS to double-check your settings first. Unfortunately, if your iPhone X side button is not working, you’re probably going to have to get it repaired at some point. Unless you work or have worked at an Apple Store, you probably don’t have to the tools or knowledge to successfully repair it on your own. The components of your iPhone X are very small — without a special toolkit, it’s nearly impossible to fix your broken iPhone X side button on your own. Furthermore, if you make a mistake while trying to repair your iPhone X, you run the risk of voiding your warranty. If your iPhone X is covered by AppleCare or AppleCare+, we recommend taking it into your local Apple Store or shipping it into Apple’s mail-in repair service. If you do take it into your local Apple Store, make sure you schedule an appointment first! If your iPhone X is not protected by warranty, we fully recommend the on-demand repair service Puls. Puls will send a certified technician to you in as little as an hour and they’ll repair your broken iPhone X side button on the spot. You now have a short-term solution to your broken iPhone X side button as well as repair options that’ll have it fixed in no time! Next time your iPhone X side button is not working, you’ll know exactly what to do. We hope you’ll share this article on social media with your friends and family, or leave us a comment or question down below! Previous ArticleHow To Download Apps On iPhone: The Complete Guide! Next Article I Keep Seeing A “Congratulations” Pop-up On My iPhone! The Fix.